By now, many articles have been dedicated to Kotlin and many reports on it have been made. We’ll try to focus not so much on the distinctive features of the language, praising it or scolding it, as on our practical experience of benefiting from its features. The developer of the Kotlin language is JetBrains, a software development company that has produced probably the best IDE for Java and many other programming languages. Despite all the verbosity of the Java language, the writing speed remains very high: the environment “writes the code” for you. 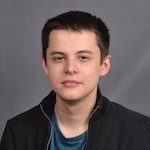 With Kotlin, there is a feeling that you have purchased a new keyboard and still cannot get used to it and you aren’t able to touch-type despite trying. IntelliSense often just doesn’t keep up with the speed of typing; where IDE will generate a whole class for Java, for Kotlin you are going to be looking at the progress bar. And the problem is not only with new files: navigating actively through the project may result in IDE freezing so only restarting it will help you. In doing so, this template “knows how” to correctly determine the method and parameters, depending on where you applied it. However, it does not work in Kotlin. Moreover, you’ll have to create a separate template (for example, klogd + Tab) and use it based on the programming language. The reason why the 100% IDE-compatible languages require managing settings twice, remains a mystery to us. Thus, despite it won’t take you more than a week to master the syntax, it may take several months to learn to correctly apply the features of the language. In some cases, a more detailed study of the principles of the operation of certain syntactic sugar, including the study of the obtained bytecode, will be necessary. When using Java, you can always refer to such sources as Effective Java to avoid many troubles. Even though Kotlin was designed to eliminate “troubles” brought by Java, “troubles” brought by Kotlin are yet to be revealed. This line is jarring and the code loses its neatness. Two consecutive exclamation are likely to indicate that such a code was deliberately written. On the other hand, it is difficult to think of a situation where using the !! operator would be necessary. Everything looks good until the entire code is written in Kotlin. If, however, Kotlin is used in an existing Java-based project, everything becomes much more complicated. The compiler is unable to track which variables will be null, so to determine the type correctly is next to impossible. For variables from Java, null tests are not available at compile time. The developer will thus take the responsibility of choosing the right type. Besides, in order for the automatic conversion from Java to Kotlin to work correctly, the code in Java must contain @Nullable/@Nonnull annotations. Click the link for the full list of supported annotations. This directive should be reserved for extreme cases as it only gives a slight increase in performance at the expense of the likely loss of reliability. Kotlin makes it easier to work with class fields. You can access fields as normal variables, and a getter or a setter of the desired field will be called. And it seems that there’s only one correct way to achieve our goal (also from the forum): to create a private variable and at the same time override the getter. Perhaps we should have placed this paragraph first, because it was Java-interop that allowed the new language to gain such popularity so quickly that even Google declared official support of the language for the development for Android. Unfortunately, we did not avoid surprises here either. Let’s consider a simple thing known to all Java developers: access modifiers or visibility modifiers. In Java, there are four of them: public, private, protected, and package-private. Package-private is used by default, unless you specify otherwise. In Kotlin, the modifier used by default is public, and it (like both the protected and the private) is called and works exactly as in Java. However, the package-private modifier in Kotlin is called “internal” and it works somewhat differently. 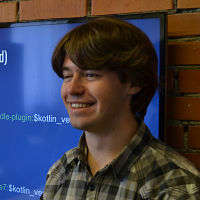 The language designers wanted to address the problem with the potential ability to disrupt encapsulation when applying the package-private modifier. The solution was to create a package in the client code with the same name as in both the library code and the method pre-defining. Such trick is often used when writing unit-tests in order not to open “to the outside” the method created for testing purposes. This is how the internal modifier appeared, which makes the object visible inside the module. The problem is that internal is actually public final. Thus, when compiling at the bytecode level, you can accidentally override a method that you did not want to override. Because of this, the compiler will rename your method so that such a thing does not happen, which in turn will make it impossible to call this method from Java code. Even if the file with this code is in the same module, in the same package. You can compile your Kotlin code with the internal modifier and add it as a dependency to your Java project. In this case, you can call this method where the protected modifier would not allow you to do so, i.e., you will get access to the private API outside of the package (because the method is de facto public), although you will not be able to override. One may get the feeling that the internal modifier was not designed as part of the “Pragmatic Language”, but rather as a feature of the IDE. And such behavior could have been made by using annotations, for exampleю despite many statements that very few keywords are reserved in Kotlin, for example, for coroutines, internal actually chains your Kotlin-based project to the JetBrains IDE. If you are developing a complex project that consists of a large number of modules and some of these modules may be used as dependencies by colleagues in a pure Java-based project, think carefully before writing common parts in Kotlin. The next, probably one of the most famous features of the language, is data classes. Data classes allow you to quickly and easily write POJO-objects, equals, hashCode, toString and other methods for which the compiler will write for you. This is really a handy thing, however, beware of traps in compatibility with libraries used in the project. In one of our projects, we used Jackson to serialize/deserialize JSON. When we decided to rewrite some POJOs in Kotlin, it turned out that the Jackson annotations did not work correctly with Kotlin and it was necessary to additionally connect a separate jackson-module-kotlin for compatibility. Even though this article may come off as criticizing, we do like Kotlin! Especially on Android, where Java got stuck on version 1.6, it became a true salvation. We understand that Kotlin.Native, coroutines and other new features of the language are very important and correct things, but they just may not be useful to everyone. At the same time, the IDE support is what each developer uses, and the slow work of the IDE negates all the speed benefits we get switching to Kotlin from the verbose Java. 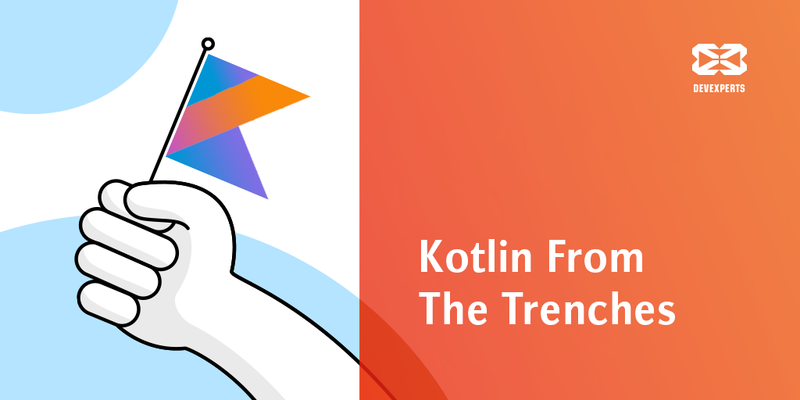 While the decision to switch to Kotlin or to stay on Java for the time being, is to be taken by each individual team, all we want is to share the problems that we had to face, which will hopefully save you precious time.